Use this section to gain general employer information, research organizations, and prepare for interviews. The more you know about an organization the better able you are to communicate your strengths. The Ladders.com is a resource specializing in jobs that pay over $100.000 annually. Top Entry-level Employers for 2011 — College Grad's list of top employers for college graduates. Bureau of Labor Statistics — Provides data on U.S. employment statistics and economic indicators on a regional and national level. Hoover's : The Business Index — A research engine that provides profiles, current news articles and other information about 500 top public and private companies. On-campus users have expanded access to Hoover's Index. Off-campus users can access the free links to Hoover's Business Index by clicking here. RankMedical.com — You don't need an MD to work in a hospital. Hospital jobs consist of both clinical and non-clinical jobs and there are opportunities available for almost anyone. One File — A database available free of charge from the Snowden Library. Citation and full text (some full image) index of more than 6,000 periodicals, including mainstream and specialized sources in subject areas including business, the professions, science, humanities, news and wire services with international coverage. Online Chambers of Commerce — A resource for locating Chambers of Commerce on the Internet. Identify member businesses and business and industry information in a specific geographic area. Reference USA — The premier source of business and residential information for reference and research. Switchboard — A directory which enables searchers to locate individual or business addresses, phone numbers, and email addresses. World Wide Yellow Pages — Yellow Pages for the Internet. Find companies by browsing business type, name, or location. PA Teaching Jobs — This site has a good listing of teaching jobs. Cross-Cultural Solutions — A non-profit organization that operates volunteer and internship programs around the world in partnership with sustainable community initiatives. Participants work from 1-12 weeks in the areas of social services, education, and health. Working Abroad — Information on international internships and work and travel jobs. Arcadia University International Job Search — A comprehensive list of resources for students interested in work abroad. Eurograduate — Are you ready to work in Europe? Globalplacement.com &mdash A free internship program service for students. The website is offering thousands of internship positions worldwide and is funded by the European Union through the Leonardo da Vinci program. 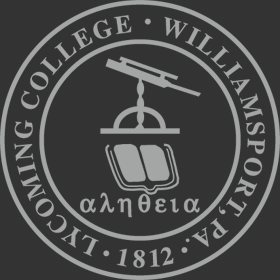 The Lycoming College Career Services is dedicated to providing personal service to students, alumni, and employers. Career Services provides many services to effortlessly connect area employers with qualified candidates. If you would like to take advantage of any of the following services or if you have any questions, please contact us. On-Campus recruitment visits can maximize your effectiveness and minimize your wasted time by arranging for you to meet with candidates in the Career Services office. On-Campus recruiting is extremely popular for prescreening candidates and for conducting initial interviews. To arrange on-campus recruiting opportunities, contact the Center for Enhanced Academic Experiences at (570) 321-4602. The Career Services resource library has a great deal of valuable information about employment outlooks, starting salaries, labor statistics, economic indicators, placement statistics, and much more. If you are in need of specific information, Career Services may be able to help you find it.